Make family camping part of the experience when you visit the Sesame Street gang. 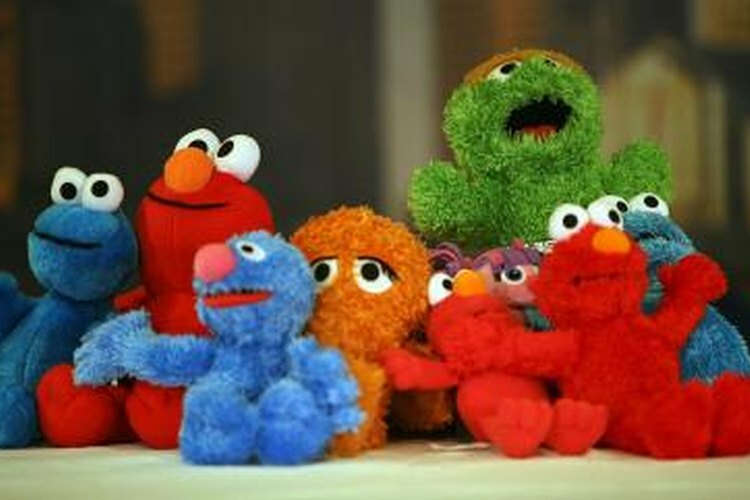 Sesame Place (sesameplace.com) in Langhorne, Pennsylvania, is the only theme park in America where families can hobnob with the Honkers, Big Bird, Cookie Monster and Elmo. The 14-acre park thrills the tiny tots and toddler crowd with attractions including The Count's Splash Castle and Big Bird's Rambling River. Potential mountaineers can climb Cookie Mountain, and aspiring astronauts can moonwalk on Ernie's Bed Bounce. While the camping pickings are few in this neck of the woods, if you want to sleep under the stars before awaking to tackle Sesame Place, a number of campgrounds are within 40 miles of the theme park. Oak Grove Park & Sales (www.ogpark.com) is the closest privately owned campground to Sesame Place. Less than 32 miles away in the small town of Hatfield, the year-round campground has more than 60 full-hookup sites, dump station, laundry and bathhouses. While recreational amenities are limited, if you're making the rounds of the area's theme parks, Dorney Park & Wildwater Kingdom is 30 miles down the road, and Six Flags Great Adventure & Safari in Jackson, New Jersey, is a 90-minute drive away. Don't let Beaver Valley Family Campground's (campbeavervalley.com) secluded country setting fool you. Open from April to November, the facility provides a balance of back-to-nature experiences with many of the comforts of home. All 85 campsites have water and electric hookups; cable TV, wireless Internet access, laundry, camp store, dump station, flush toilets and showers are at your disposal. A swimming pool, playground, sports field, basketball and volleyball courts, horseshoe pits and two shuffleboard courts keep campers active. An activities director plans a calendar of events, including potluck dinners, pig roasts and peach festivals. Less than 34 miles from Sesame Place in Ottsville, the campground is also near 5,200-acre Nockamixon State Park, where hiking, biking, horseback riding, swimming and licensed fishing opportunities abound. Colonial Woods Family Camping Resort (colonialwoods.com), 37 miles from Sesame Place in Upper Black Eddy, packs a lot of amenities into its verdant acreage. Zip up your sleeping bag in a tent, roll up your RV or reserve a rental trailer or cabin at the resort from mid-April to November. All 240 sites have water and electric hookups. Additional creature comforts include wireless Internet access, a laundry, dump station and restrooms. Play a round of miniature golf, shoot some hoops or compete in a game of tennis or sand volleyball. A heated swimming pool, spa and spray pool are on the grounds. Anglers can grab supplies at the camp store, head to the on-site lake for licensed fishing or cast a line at nearby Nockamixon State Park. If that's not enough, explore the natural Lost River Caverns, or float down the Delaware River Canal on a barge drawn by a team of mules. Homestead Campground (homesteadcampground.com), less than 40 miles from Sesame Place in the tiny borough of Green Lane, is nestled in the woods with wildlife-watching meadows, hiking trails and a permit-free fishing pond. The year-round campground provides many of the comforts of home, including free cable TV, full hookups, flush toilets, hot showers and sanitary dump station. A swimming pool and two playgrounds are at your disposal, and Mercer Museum and Fonthill Castle are less than 25 miles away.